‘From luxury to comfort’ – A journey through which many products have gone, owing to the fast developments and consumerism. If you see around yourself, you will witness many such examples, from which the most common ones would definitely be Car and AC. Once reserved for the elite people, these are now used widely by everyone. And when it comes to a car equipped with an AC system, which every car today is, consumers expect none less than perfection. But, is it just in the hands of car manufacturing companies? ‘No’, because to enjoy the pleasure of the car AC system and make it running smoothly, round the year, you need to use it wisely and take due care of it. This responsibility also entails visiting a respectable workshop whenever you notice any trouble with car aircon. 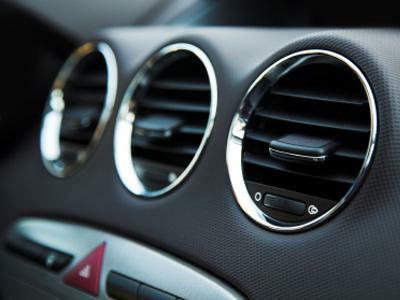 We have been repairing and servicing car air conditioning in Dandenong for over a decade now. We realize that not everyone is aware of the tips by which they can optimize the performance of their car aircon, increase its longevity, and keep it in the top condition. Therefore, we have listed some of these tips below for our readers. Cleaning: Though this point is continuously emphasized, some car owners tend to neglect it. Clean the vents, air filters, condenser, and other accessible components regularly to remove debris of all kinds. Apply disinfectant cleaner on all vents. Sequence: Due to the greenhouse effect, the temperature inside the still car rises. And so, you should never start the AC together with the vehicle. In a few minutes of turning on the ignition, crack the windows, and only after that, switch on the AC, but remember to keep it on fan mode. After using the AC for 2-3 minutes like this, shift it to cooling mode. Follow the reverse sequence while turning off the ignition. Mode: For car models which do not have automatic sensors for shifting between fresh air and recirculation mode, keep the aircon on the fresh air mode while starting to drive the car, especially in summer months. Once air inside the vehicle cools down, you can shift to recirculation mode. This point is a bit complicated and so to know more about it, you can visit us anytime. Temperature: It is always best to keep the temperature level high while switching on the AC and reducing it gradually. Parking: Try to park your car in the shaded area to decrease the greenhouse effect. Winters: During winter months, switch on the AC once a month, for 5-10 minutes, as shutting it down for a longer period can impact its performance badly. Maintenance: Even if there is no sign of worry, you must get your car aircon system checked and serviced at the automotive shop, which excels in car air conditioning in Dandenong, on a periodic basis. We provide this service at the very nominal prices. Thus, by staying a little alert, you can avoid huge expenses of repairs or replacement in the future.